Discover superior Tomball heating repair, installation and replacement services when you call 281-704-3696 today. Enjoy fast, reliable service and great prices. Save even more with our online coupons and specials when you click here. One of the keys to minimizing any downtime with a broken furnace is getting professional attention as quickly as possible. The sooner you have an expert in the house, the sooner your heating system will be up and running again. Take the time to find a reputable service provider in your area so you can just make the call as soon as your furnace shows signs of trouble, and help will be on the way. Are you wondering what your neighbors in Tomball, TX have been saying about our range of services? Click here to read our latest customer reviews. With your typical furnace, you need to generate heat with natural gas, propane, fuel oil or electricity. These sources of energy work well, but they have an environmental impact and can result in costly service. A ground source heat pump has the ability to take heat from the earth and transfer it to other places, such as the inside of your house. If you are looking for green energy options, a heat pump is a great choice for your home. Since the warm air that flows from your furnace into your air ducts and your living space has to pass through the furnace filter, it stands to reason you want the filter to be clean. If the filter is dirty and congested, some of that debris will end up in the ductwork as the furnace struggles to meet the temperature you’ve set. All it takes is a simple filter replacement to restore clean airflow from the furnace. If you decide on a DIY approach to heating system installation, you may be violating your local building codes and bylaws in the process. When a major appliance like a furnace (which may be connected to a gas line) needs to be removed or installed, you need to obey the building codes and the local bylaws. Hiring an experienced, licensed technician to get your new equipment in position and running guarantees that you will be on the right side of the law. 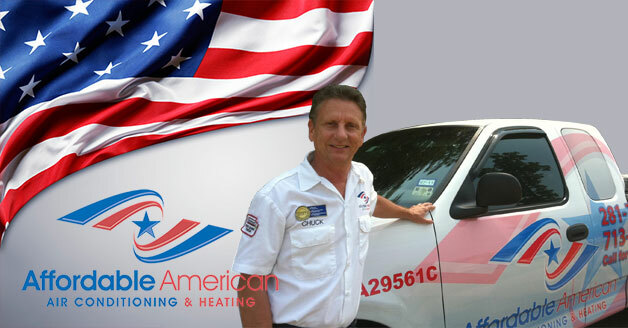 When you pick up the phone and call Affordable American Air Conditioning & Heating at 281-704-3696, you can expect reliable, reputable heating experts to tackle your heating issue. As soon as you notice a problem, make the call and leave the rest to us. We proudly serve Tomball, TX and surrounding areas.